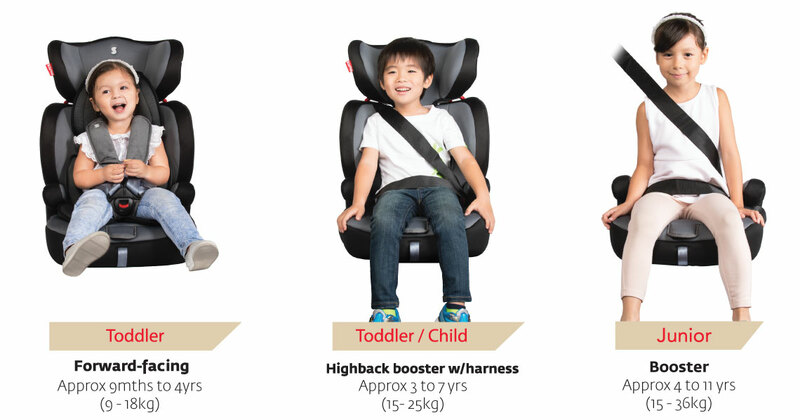 Choosing The Right Baby Car Seat For You - Amanda Leong | Lifestyle. Travel. Beauty. 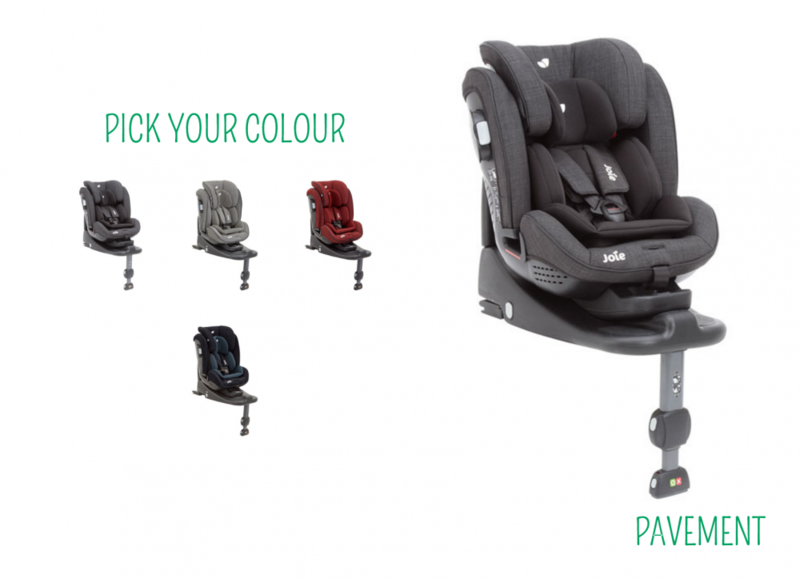 When it comes to choosing the right baby car seat, it is just as important for you as it is for your baby’s safety. God knows when you’re handling a grumpy child, an overly-enthusiastic dog trying to get in the car with you, folding your stroller, carrying your diaper bag, and picking up 46 loose toys all at the same time, the last thing you need at that moment is to figure out how exactly to buckle your baby in. Not buckling your baby in or strapping down your car seat the correct way can be extremely unsafe. In fact, 95% of us install our car seats incorrectly. Some of these mistakes can even increase the chances of our baby getting hurt even without a crash. I made the mistake of buying an attractively-priced car seat a few weeks back and now that I come to think of it, I really should have prioritised Liam’s safety over saving that extra couple hundred bucks. In the end, I purchased a better, safer car seat and spent even more. While I’m not saying that expensive car seats are definitely better or safer, I do feel a lot more at ease with the extra safety features my new car seat comes with. Liam started out with the Cybex Aton Basic Infant Car Seat (S$199 from Mothercare), straight out of the hospital. It was slightly roomy for three-day old Liam but nothing an infant insert couldn’t fix. It also felt sturdy and safe, and clicked right onto our Silver Cross Wayfarer frame. It was light and convenient but slightly too curved to look comfortable for our little bubby. He always seemed a little uncomfortable in there. And while the product claims to be for up to 13kg and approximately 18 months, he had pretty much outgrown it by 5 months. So I found this Snapkis Steps 1-11 Car Seat for S$179 on Agape Babies and thought it was really well-priced for a car seat that could last Liam through his pre-teens! Plus, I am always a supporter of local brands, e.g. Hegen and Oribel. Unfortunately, I still don’t know if I’ve correctly installed this car seat to this day. As idiot-proof as it was designed to be, with the instructions displayed and sewn in to the side of the car seat, it just seemed a little flimsy to be correctly installed? The seat belt was supposed to go through the back of the car seat and even though I seemed to have followed all the instructions, the car seat would still flop forwards if I braked hard enough. The angle of the car seat also did not seem very comfortable for Liam and I would be so conscious to always brake gently. All in all, it was confusing to install and I just didn’t feel that the car seat was safe as it looked and felt pretty flimsy. I didn’t trust that it could really protect my baby from harm in case of an accident. Worse still, I kinda had two little accidents in the last month so I really felt that I should invest in a safer car seat that would at least put my mind at ease. I read up on car seat safety and regulations and decided to look for an ISOFIX baby car seat. 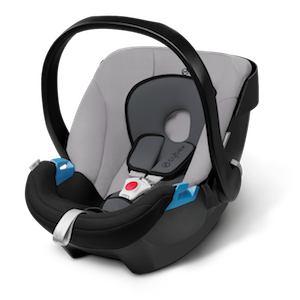 Basically, and ISOFIX baby car seat is attached directly to the standard attachment points for child safety manufactured into most cars. This means that your ISOFIX baby car seat is locked permanently and directly onto the chassis of your vehicle and does not require the seat belt to hold on to the car seat. That is definitely zero room for error in installation and one less step for you as a parent! 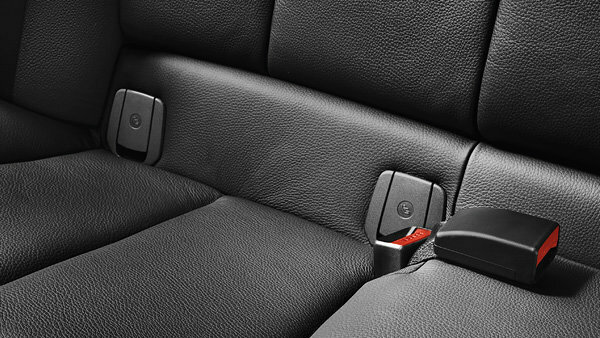 The ISOFIX points in my car look something like that and all ISOFIX baby car seats come with two hooks that can be inserted directly into these two ports. And it’s done! There is just no way that I can install the ISOFIX baby car seat wrongly and I don’t have to worry about buckling Liam down AND the car seat down anymore. Alas, we decided on the Joie Stages ISOFIX. The best part about this is that can be used both rearward (up to 18kg) and forward-facing (up to 25kg). At his current age (8+ months), I would still prefer to be using a rearward-facing car seat as it’ll put less stress on his neck, especially when braking. When a child is riding rearward facing, the car seat absorbs the impact, protecting the child’s head, neck and spine — up to 73% more than forward-facing. I also appreciate that it goes further than just complies with the latest standard for child seat safety. I must say that it is rather well-priced at S$499 for an ISOFIX baby car seat. Also, Liam looks absolutely comfortable in it, either playing with his favourite little dinosaur or falling asleep while we get from home to destination! He has no problem snoozing comfortably with the adjustable recline both rearward and forward-facing. I am not writing this for the purpose of advocating any brand of car seats and would just like to highlight the importance of car safety when it comes to our babies. I’m proud to say that I have never once allowed Liam to travel in a car without being strapped into a car seat. It’s just not worth it to risk out little bubbies’ safety for convenience or cost! I’d say go for an ISOFIX if the prices suit you, as they’re guaranteed to be safe. And for a comfortable one with an adjustable recline, if you can. Don’t forget to check that they comply with and, better yet, go beyond car seat safety regulations!